This was a short ride to get Connor and Karen used to cycling. Connor coped quite well but Karen really struggled. An uncomfortable seat and narrow bike tyres didn’t help. But I was so glad Karen persevered to the end. On this ride Kyle brought his friend Liam along. We decided to give the Mt Evelyn to Lilydale leg a miss as it’s the least interesting part of the trail. 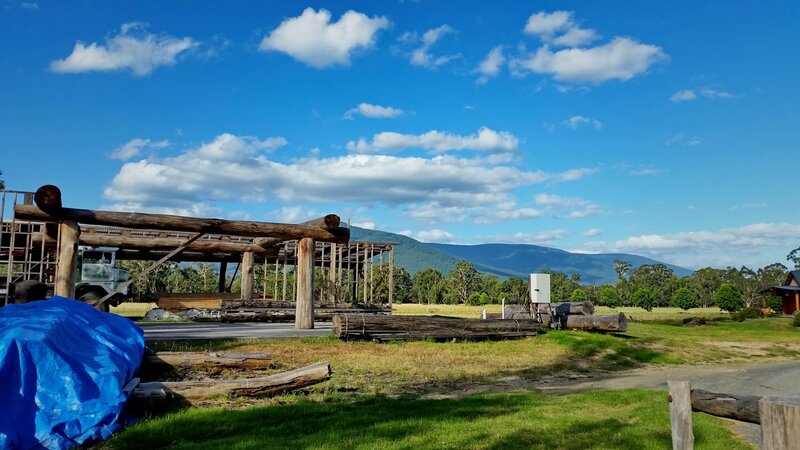 As it was getting late for lunch at Warburton we had lunch at Yarra Junction. Towards the end of the 66 km ride heavy rain made for difficult riding. Bikes and bums became very muddy and I had to stop twice in the car due to bad cramps preventing me driving safely. 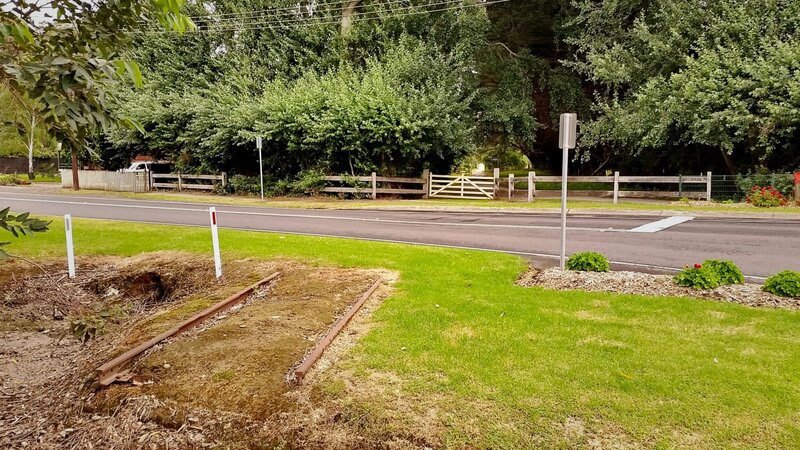 Rail remains near the Warburton Highway Millgrove. 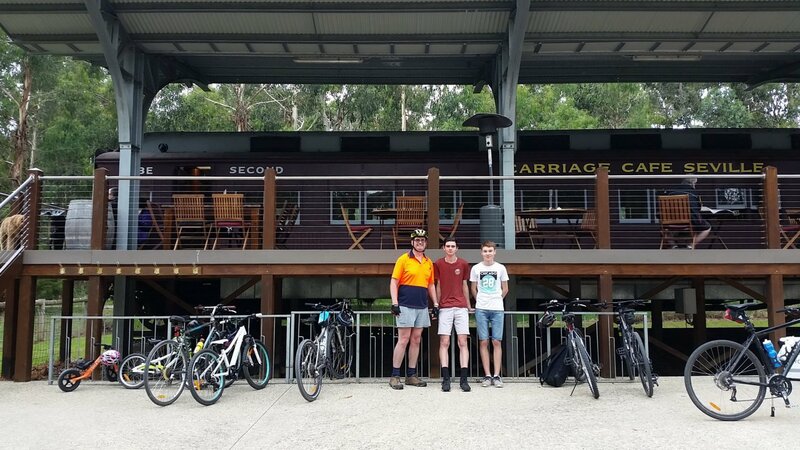 Last time we did the Lilydale to Warburton rail trail we left out half of it. This ride Kyle and I did the entire length making it an 80km day.Parking the car at Woori Yallock we began our ride. The car park was almost full and we grabbed the last space. There were a number of different bikes, even one tandem, and many ways to carry them. Being a weekend the track was very busy. On one stretch near the Carriage Cafe near Seville we ground to a halt due to the number of cyclists, pedestrians and even a few horses. Woori Yallock to Lilydale, to Warburton rail trail. January 2017. The climb to Mt Evelyn was the second most difficult part. It’s followed by a quick descent to Lilydale where most of the original railway route is lost amongst the houses. The only real interest here was crossing Maroondah Highway over the old railway bridge and we came across a BMX competition; which was one race after the other much like a conveyor belt. It was great to watch. The ride back to Mt Evelyn was hard and doing the track next time I would leave Lilydale out, stopping at Mt Evelyn and maybe eating at one the fine cafes there. 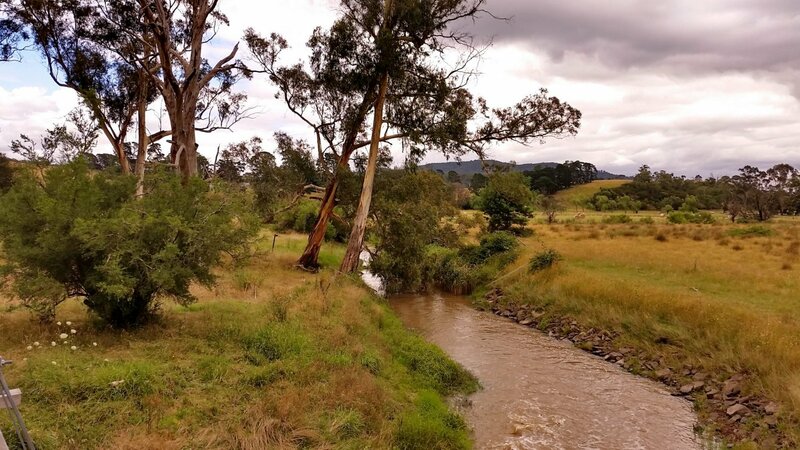 Arriving back at Woori Yallock we grabbed our lunch from the car and after a good rest we decided to continue on to Warburton. I definitely noticed the difference in riding ease compared to last time where I wasn’t tired out from going to Lilydale. This is a shorter leg and the height climb isn’t as much compared to the Lilydale leg. We made it to the Cog Cafe just before closing time and ordered a cake and coffee. Instead of checking out the Warburton sights we headed straight for Woori Yallock and the car, getting back just after 5pm. A great day’s exercise and cycling. 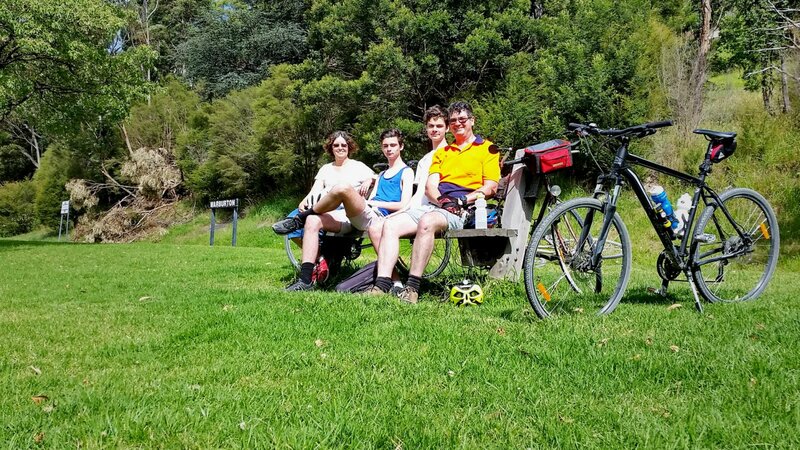 Our ride with Peter Coleman, Kyle and myself from Woori Yallock to Warburton. 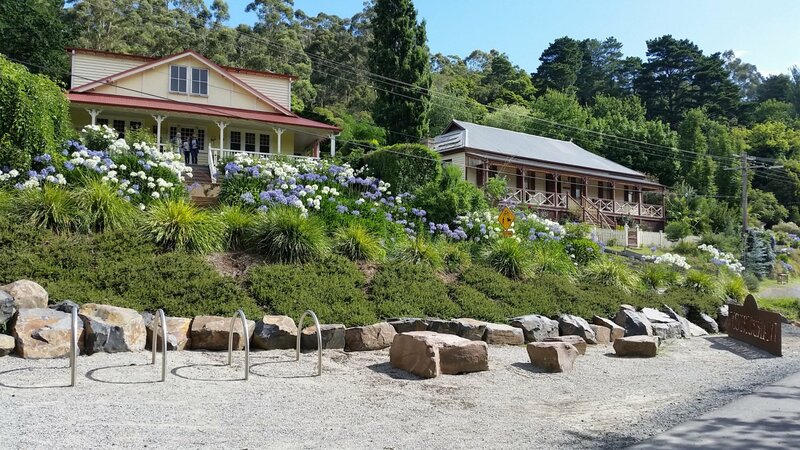 I was thinking of starting at Lilydale until I saw on Google maps the big climb and descent over Mt Evelyn; and we would have needed to go up and down twice. The scenery is beautiful and there are quite a few railway relics left, I even saw some rails embedded in the road. Lunch at Warburton is well catered for too, but the “Cog Cafe” was closed. Maybe next time.